Did you know that 6.3% of Canadians are struggling with unemployment? Even with benefits like disability insurance, it can be difficult to make ends meet, especially if you have debt. How you can maintain good credit while being unemployed? What are my first steps after being laid off? If you’ve been laid off, you should be entitled to a severance package. The size of your severance will vary, depending on the length of time you spent with the company. Collecting the rightful amount of your severance can sometimes be challenging, in which case, the labor board might be of assistance in helping you negotiate. Since this can be a matter of survival, it’s important that you go after what you’re owed. If you happen to be a millennial struggling with unemployment, we have even more advice for you. Read our blog “Canadian Millennial Unemployment: How We Can Help”. One of the easiest ways to be ready for any potential employment opportunities is to have your resume up-to-date. Keep in mind that your LinkedIn connections can also see any changes made to your profile. Who knows, there could be a potential employer waiting to jump on the opportunity to bring you onboard. Searching for employment should feel like a full-time job. Cold calling, and pestering your friends and family for job leads. Stopping in with your resume at places you’d love to work. 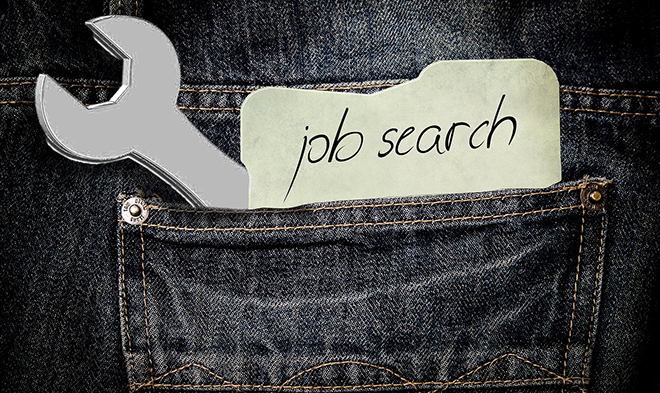 Don’t limit yourself to your local online job board, expand your searches. Check the local newspapers, keep your eyes peeled for ‘help wanted’ signs and take every possible until you find employment. You’d be surprised at how often Canadians maintain the same lifestyle after they’ve been laid off. It’s time to revisit your budget and go over your expenses. Be ruthless and find every reasonable area to cut back on your monthly spending. This step requires discipline, but it’s important to avoid getting into credit trouble through overspending. Read our 10 tips to curb your online impulse buying. Getting laid off can be an emotional event. The desire to let loose, or lash out is a powerful impulse to deny, but your reputation and image can be at stake. Remaining professional and keeping your cool is a posture that people will notice. It’s rarely worth it to burn bridges, as these repercussions can haunt you for years. This ties in closely with the fourth point. If you can balance your budget and live off of you unemployment benefits or severance package, resist the temptation to dip into your savings unless you absolutely have to. Stretch your money out as far as you can. It’s natural to fall into a funk after losing a job. An effective way of letting this state of mind worsen your credit or debt situation is to stay busy. Emotional stress, depression or lethargy can all be combated with a focused and motivated mind. Regardless of whether you’ve received a severance package, capitalize on all of the options available to you by collecting all of the employment insurance you’re eligible for. Remember, every last penny can help you navigate this season of life. If your credit score has taken a hit through job loss, consider taking advantage of credit rebuilding programs. A strong credit score is valuable regardless of your employment status, and watching your credit climb might be the morale booster which inspires the next chapter of your life! If you want more information on credit rebuilding programs from Refresh Financial, click here. What are some other pointers you know of to help someone recover from unemployment? Let us know in the comments!